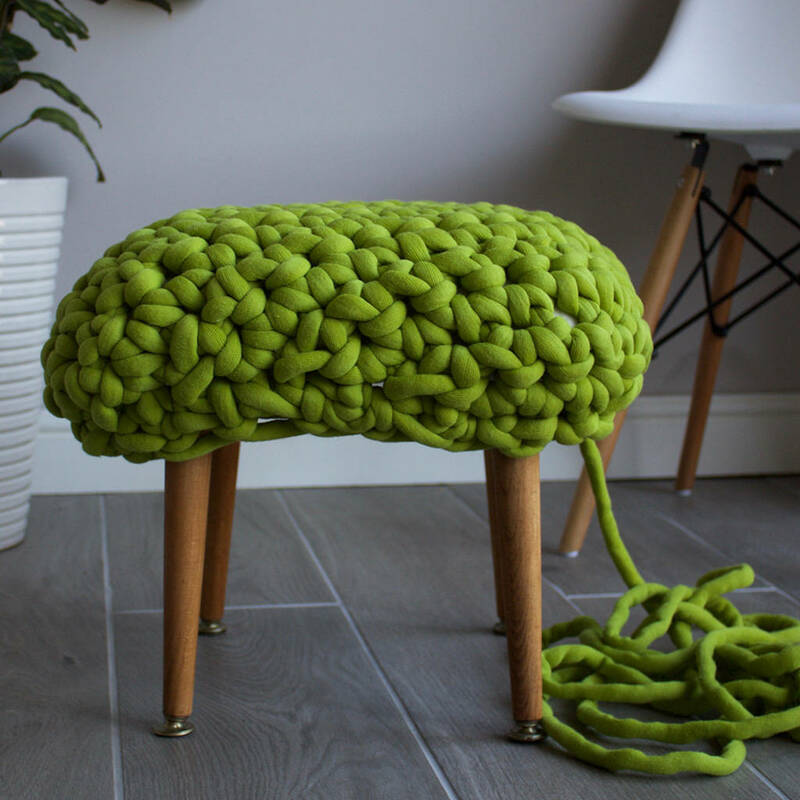 This original, hand woven extreme yarn footstool will make a statement in any room, while its sqeezably soft top make it cozy and inviting. The Demetrius has that ever so cool Scandi-Hygge vibe that everyone is talking about, and as an original design, it will be a talking point which ever room it resides. It would make a wonderful wedding gift, or new home gift. For those with smaller spaces, it is the perfect piece to compliment a room without overtaking it. It is soft, comfortable and functional from living space, to nursery to bedroom. 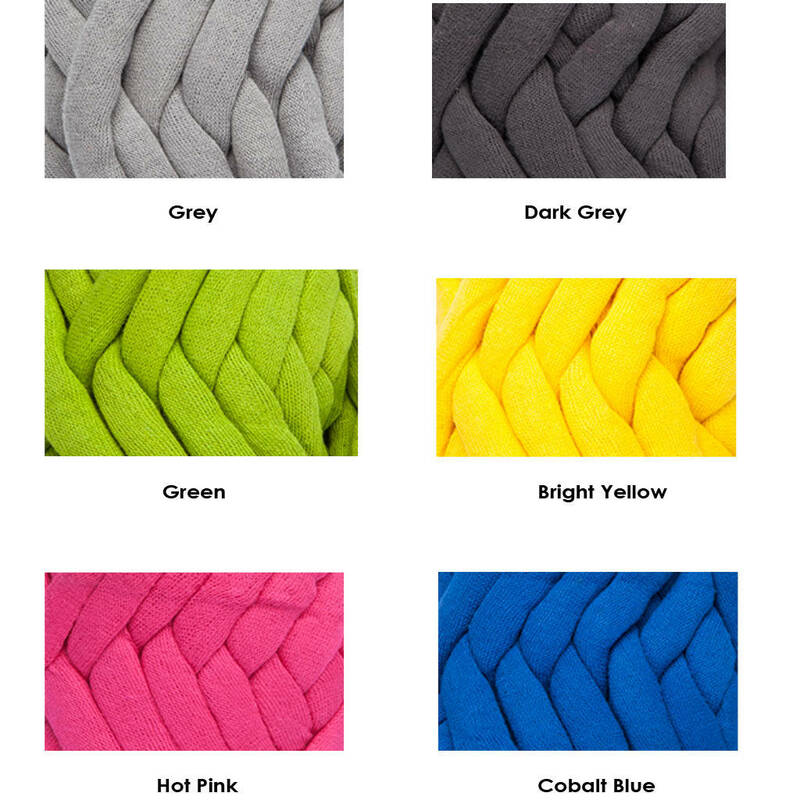 There are several colour choices available and colours can be combined, to create your own statement piece. If there is a colour you would like, or a combination I haven't already considered, please message me and I will be happy to create your one off piece. 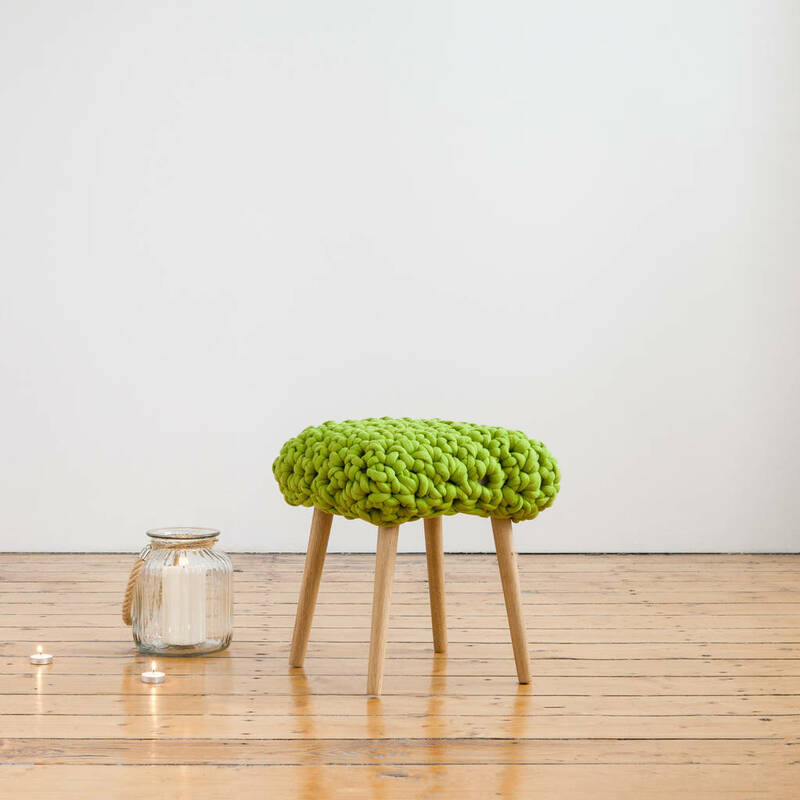 Each footstool is hand crafted, and covered in a neutral fabric that compliments each of the hand woven tops. 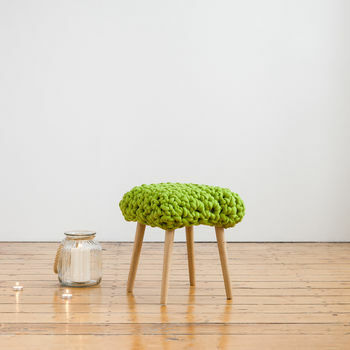 The footstool itself meets all fire regulations and the base is FSC certified. The legs of The Demetrius are mid-century that have been painstakingly refubished, but still have a bit of that vintage charm. 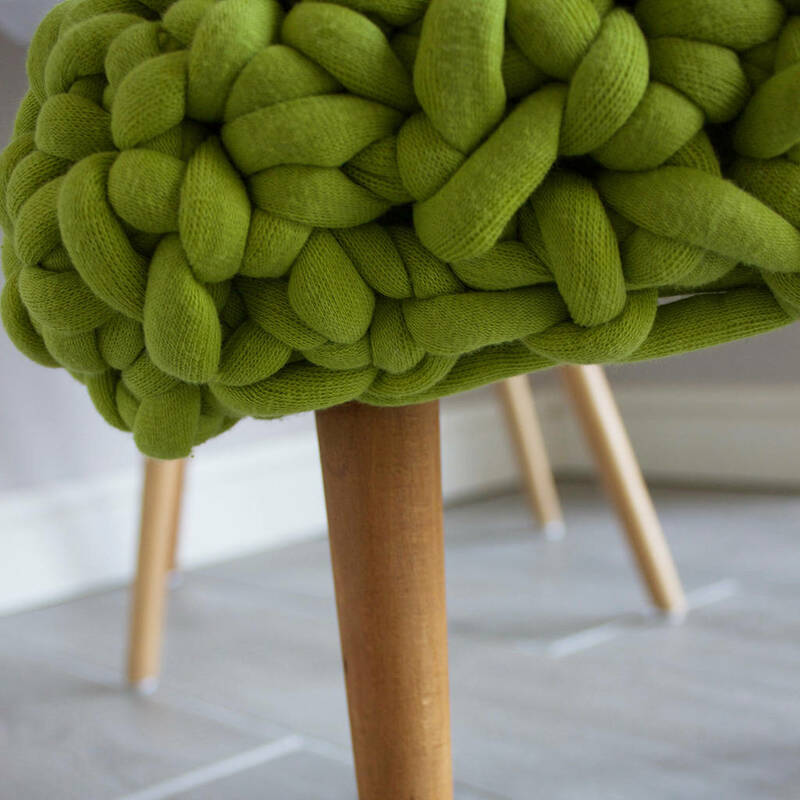 The Demetrius is made from an extremely chunky cotton/poly blend, that makes you want to hug it. The top is easily removable, as it has a bit of an elastic band feel to it. These tops can be handwashed at 30 degrees, making it both stylish and functional in any household.